More than 50.000 artworks! The most complete art app on the App Store. 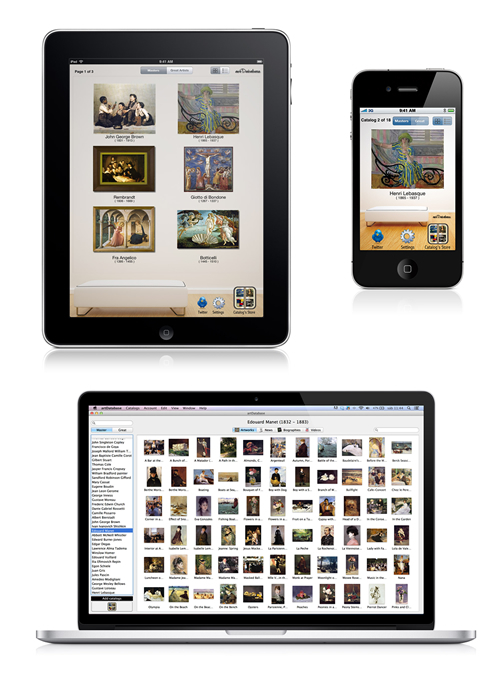 Complete catalogs of your favorite artists: Renoir (1200 artworks), Monet (1100 artworks), Van Gogh (600 artworks), ... More than 130 artists with complete catalogs, biographies, news and videos. Now ready for iPhone, iPad, OSX and Android. Try it for free! coinDatabase is the perfect tool for coin collectors. It will give you all the information you want to know about your coins: images, mintage, diameter, weight, market values measured by the state of conservation. Numisma is the perfect app to keep a complete record of your coin collection. Design and operation is the result of feedback with hundreds of collectors of coins, the result being an indispensable application for the collector. MyStamps is the perfect app to keep a complete record of your stamps collection. Design and operation is the result of feedback with hundreds of stamps collectors, the result being an indispensable application for the collector.